Residents thoroughly enjoyed their outing to Ayrshire Athletics Arena in Kilmarnock. 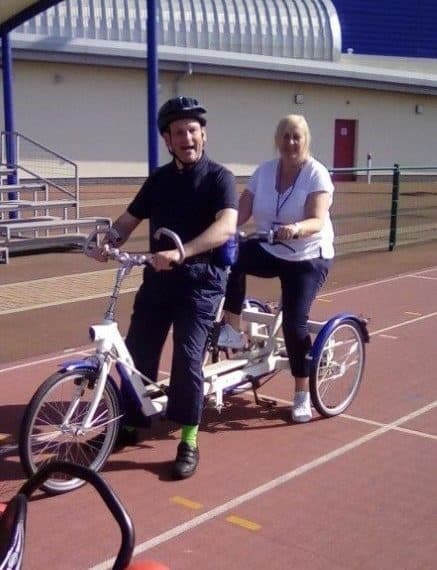 Each had the opportunity to use adapted bikes and take advantage of the good weather whilst getting fit! Ayrshire Athletics Arena opened early especially for Moorpark’s use – this adds to our list of community links.